HANFORD – Instead of hanging out at the water park, at home or with friends, 45 local students have chosen to spend their summer volunteering at Adventist Health / Central Valley Network. The high school and college students are part of the network’s first Discover Health Care Volunteer Summer Program. The goal of the program is to help local youth explore various health care careers, assist them to become stronger applicants in the work force and help them discover if health care is the right choice for them. “It is very exciting to offer a program that will allow our young community members a chance to learn about health care and health care careers,” says Tanya Hutchison, director of Volunteer Resources. The students will serve 100 hours over a three-month period. They will hear from speakers, such as physicians and nurses, during core sessions which focus on education. They will also receive hands-on experience volunteering at the Gift Shop, Front Desk, Surgery Waiting Area, Birth Center, or Medical Records; or as Ambassador or Emergency Department Ambassador. “We want our Discover Health Care volunteers to be as close to supporting the patient experience as possible,” says Clay Ipsen, assistant director of Volunteer Resources. To qualify for the program, the students had to submit an application and undergo an interview at their school. The key qualities recruiters were looking for included a positive attitude, a desire to work in health care and compassion. Twins 18-year-old Amber and Samantha Illana are interested in the program because their family members work in the health care field. Their mother works at the Adventist Health Physicians Network Lacey Medical Plaza as a Medical Assistant and their father does lab work for the Navy. “I just want to interact with people,” says Samantha. She hopes the program will teach her how to make strong connections with people, leadership skills and the opportunity to find the right career path. 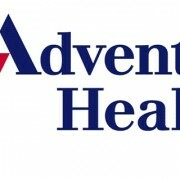 Students interested in signing up for the Discover Health Care Volunteer Summer Program in the summer of 2015 can find the application online at www.AdventistHealthCV.com under the Volunteers tab. Submissions will be accepted between January and March. For more information, call 559-537-2740.